I Did It! I Finished the Whole 30 Reset! Two and a half weeks ago I celebrated the end of my Whole 30 journey. It coincided with the week of Valentine’s Day and I decided to reintroduce dairy with ice-cream from Dairy Queen. I ordered a small cup of vanilla knowing immediately that the serving was too big (even for a small size). Unfortunately even though I knew it was a little too much I decided to eat the entire cup anyway! While I enjoyed this time with my family where I can actually have icecream instead of just sit there and stare at them, the aftermath of it was less than enjoyable. My stomach hurt and I knew I made the wrong choice. When I initially read about the Whole 30, I thought ‘Whoa this is too restricted! No way I can make it through 30 days.’ If you’ve never heard of this elimination reset diet, it requires you to avoid a number of major food groups – dairy, grains, legumes as well as sugar, alcohol,and preservatives. It does sound tough especially if these are the main staples of what you’re used to eating. But if you think about it, it actually makes meal prep more simple! I was at a Super Bowl party and got into a conversation with someone who was wondering about Whole 30. I know I should have initially addressed what I can eat instead of focusing of what I couldn’t, but that’s exactly what I did. Her response which didn’t even occur to me beforehand was ‘Well, that sounds simple enough!‘ And she was right on point. With Whole 30, you have less choices. When mealtime came around, it’s usually plenty of vegetables, a protein, either chicken, fish, pork and the occasional steak cooked in some type of fat. Do you agree when you have less options, it’s easier to take action? The Whole 30 also focuses on three meals a day so you won’t have to think about what to have for a mid-day snack. I admit, this is what I struggled with the most. As a runner, I needed to have something as a post-recovery snack. However, it did have an exception to the rule with regards to more active individuals where it allowed snacks after the activity. What I noticed was when I don’t eat enough during lunch, I definitely feel hungry for something a couple of hours before dinner. A bad habit of mine I’m trying to break is I tend to multi-task when I eat lunch whether it’s reading or browsing websites and lately it’s been viewing presentations from the online graduate classes I’m taking. When I don’t take the time to taste the food I’m eating, I tend to have cravings later in the day. Food shopping is also less complicated. I spent the most time shopping in the fruits and vegetables section, even sampling vegetables I’ve never had. I’m not sure why I’ve never tried it before, but I discovered roasted spaghetti squash with marinara sauce is just as tasty as pasta with marinara sauce. Ok the texture is different but I couldn’t really taste the difference! Here’s a simple recipe I found on Food Network – Spaghetti Squash with Marinara recipe. …Except when you Dine Out! Then the Whole 30 becomes more challenging. I learned the hard way when I forgot to ask if there was added sugar in the almond milk I requested for a latte at my local coffee shop. The second I took a tiny sip, I immediately knew it contained sugar. I had to ‘reset my reset’ back 5 days! Lesson learned is to always ask for the specific ingredients which can become a hassle. You also need to plan out in advance where to go so you can look at the menu beforehand and see if there’s anything Whole 30 compliant. As a family we frequented a few Asian restaurants – which all served some type of rice-based dish. I disappointed my kids when I suggested our usual spot (which had nothing for me to eat!) and explained why, but reassured them it was only for 30 days. To me, it felt like an inconvenience to the server when I had to make specific requests to suit my needs. I had a recent interview on evoke STRONG live with a woman who had many food sensitivities where she talked about how she carries a card with a list of food she can’t eat. Amazingly, many of the restaurants she visited were more than willing to cater to her preferences. I guess all you have to do is ask! Being on the Whole 30 made me realize how I didn’t miss the types of food I normally ate beforehand. Like cheese for instance. It used to be a snack staple but avoiding it for a month ascertained it’s not something I really needed in my diet. Ok ok I admit, I did miss eating pizza. When I finally had several slices of my favorite pizza, I wasn’t over the top excited about it. And I didn’t feel too good afterwards either. Again, I know it’s something I can live without. Let’s be honest though. I know there will be days when I won’t be eating as clean as I want. At least now I know the consequences of my choices. It’s about my choice of whether or not I want to feel good or not. Not every decision will be the right one, but I’ll be fine with it. On occasions, I will truly savor a sweet treat for pure enjoyment. However, for the majority of the time I will eat for the sake of my health. 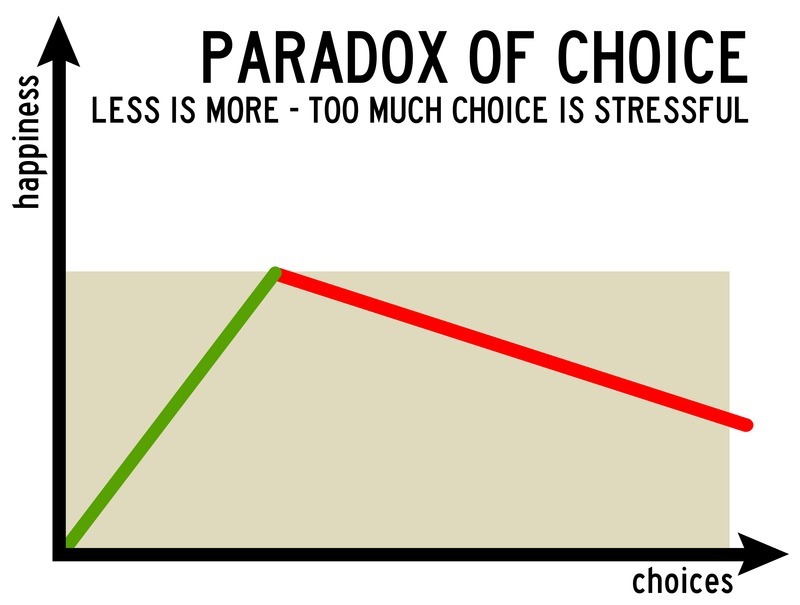 Less choices is more simple – agree or disagree? 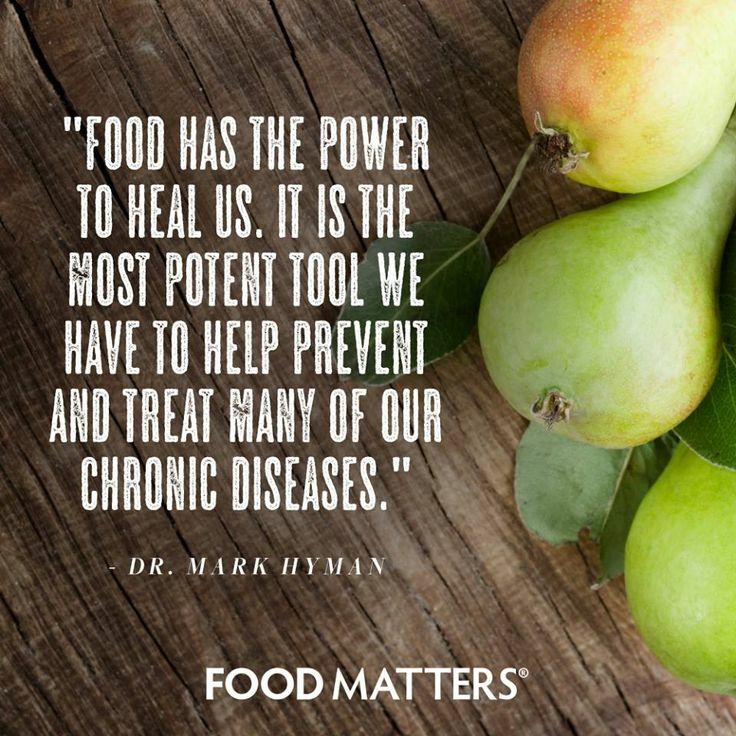 Has your choice of food affected you in a positive or negative way? Please share in the comments. Previous postHow to turn your I CAN’Ts to I CAN! Next postThe skinny on Skinny Fat. Is this you? Good for you! I’ve seen many people do this diet and not able to go back to some foods. I totally would have gone for ice cream at the end too! Although I have never tried any kind of a diet like this, I can see how fewer choices would make it easier. Congrats on making it through all 30 days! I’m not sure I would ever do Whole 30 but I’m impressed by those of you that do! Congrats on finishing! So glad to hear this is working so well for you! People seem to really love it or hate it. As a vegetarian, I could not give up dairy and grains ever. I would probably find the Whole 30 diet too restrictive but I’m glad that it worked so well for you! And is Dairy Queen really dairy? Good point Wendy! 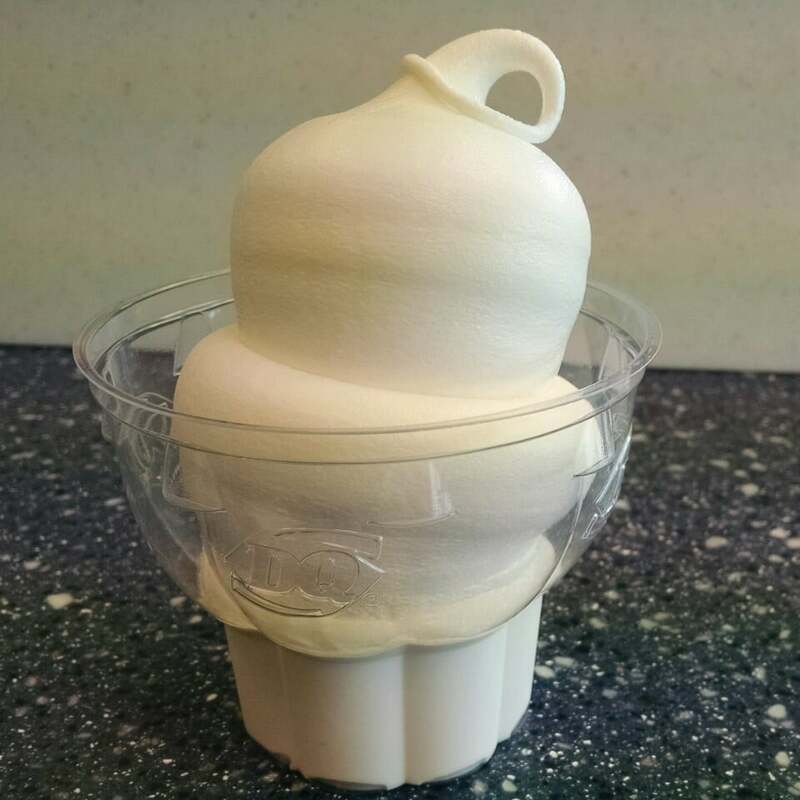 Soft serve icecream with not so good ingredients was probably a bad choice of dairy to reintroduce right away. Congrats on finishing Whole 30! Sounds like you gained some good insights from it. Congratulations on getting it done! I don’t like sweets, and eat very little bread or grains anyway, so I probably wouldn’t have too hard of a time with this. You’re right though, dining out makes it difficult. Congrats on sticking with it! I’m a vegetarian (I try to eat vegan, but occasionally have something with egg or dairy in it). I suppose that would be considered “less” choices, but I don’t really think about it often. I know I could never not snack. I’m a grazer, for sure! I have done a few Whole 30s and I def need to do it again! It is amazing what we really don’t need that we feel like we couldn’t live without before Whole30. That’s awesome Esther! I know we become programmed to eat certain types of foods that it’s hard to wrap our minds around being deprived of it. But when you actually take it out of your usual meals, then it changes your perspective about it. Thanks for joining our community. Its so hard to not cave to temptation, so I don’t blame you for wanting to eat the entire ice cream serving as a reward for completing your Whole 30 journey. Even when we know what the results will be, its hard to resist a well earned reward.